On behalf of the Serbian Association of Economists and the Serbian Association of Corporate Directors we are pleased to invite you to the 22nd Kopaonik Business Forum 2015. 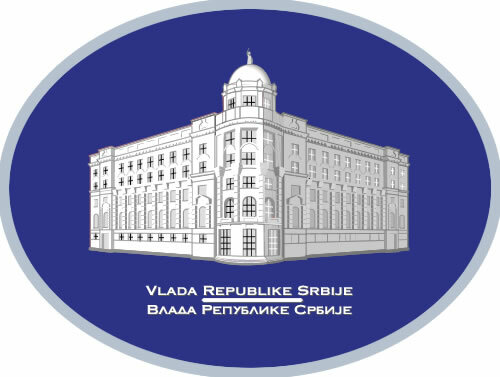 Traditionally, the Forum is organized under the patronage of the Prime Minister of the Republic of Serbia. Every year the Forum gathers more than 500 participants, respectable scholars, government representatives, diplomatic officials, business practitioners, and media. What lies behind strategizing about Serbia’s economy? The answer is simple − the necessity for restructuring an impotent and out of tune economy in order to survive and prosper. It is not a trivial task, primarily due to the current strategic position, performance level, and the context of rapidly changing environment. Serbia’s economy is a late developer with delay in transition toward the road to higher development stage. Due to a delay in geopolitical positioning, the country is stuck in the middle. Strategic audit of its position indicates the dominance of threats over opportunities. The most serious threats come from structural imbalances such as macroeconomic deficits, price disparities, too high cost of capital, and appreciated FX rate. When an economy is unbalanced and import and debt dependent, it is likely to become a hostage to financialization, the main fault line of neo-liberal economic doctrine, which undermines it in many ways and puts it into out-of-tune mode. In rapidly changing environment, the risk of downside scenario in an unsustainable economy is high and ever growing. To prevent default, every government in Serbia has faced a near-death experience. But, near-death experience could be perceived as a spiritual upheaval helping to discover imaginative ways of dealing with adversity. Strategic flexibility becomes the core competence when balance between players in global competitiveness game is rapidly shifting. The question is not what is right, but what would have to be done right. In new context the role of government is not only to achieve more favorable geopolitical position externally and maintain political stability internally, but also, and predominantly, to encourage the development of an adequate model of sustainable growth and related policy platform. The orthodoxies governing development and policy in Serbia’s economy are so entrenched that we need new wisdom to articulate the change imperative. This year’s forum is what the new wisdom might address. The essence of the new wisdom is radical restructuring, both macro and micro, with the new set of strategic choices aimed at eliminating hidden fractures of the system and spurring investment in tradable sectors. By doing this, austerity is inescapable. But, it is not enough because it preserves the status quo. In a quest for a solution, pendulum should not be shifted from one extreme institutional choice to the other, from the proposition that the market is the best regulator to the one that the government is the only master. In rethinking neo-liberal economics doctrine, the development model and policy platform based on integration of macroeconomic policies and industrial policies represent a field in which there have been major breakthroughs. Industrial policy is at the center of the new wisdom known as new structural economics. To paraphrase J. Stiglitz, the question is not whether any government should engage in industrial policy, but how to do it right. Neo-liberal economic doctrine could not be an alibi for inert government any more. Answer to new challenges requires the national strategy for economic and social development as a set of interrelated choices enabling the economy to survive and win in the global marketplace. To be responsive, the government must be responsible. The mission of the government in this process is: Playing to win, not playing to play. In the hope that you will be able to adjust your schedule and make a valuable contribution to resolving the foregoing issues, we would like to invite you to take part in this interactive event which aspires to be a true festivity for economists and business practitioners as well as a source of viable ideas for policy makers. In every action or inaction there are hidden values. These values always express themselves somehow. As organizers of Kopaonik Business Forum we really seek to cultivate a network of relevant people and, by doing so, to create the structure of interactions in which there is a lot of discussion, debate, dialogue, and education. The choice is up to you!